Some people can scale mountains but can’t master their fears enough to climb the inside of their own mind! They lack the mental steel required. Jolene and Troy have over 24 years of combined global teaching experience. 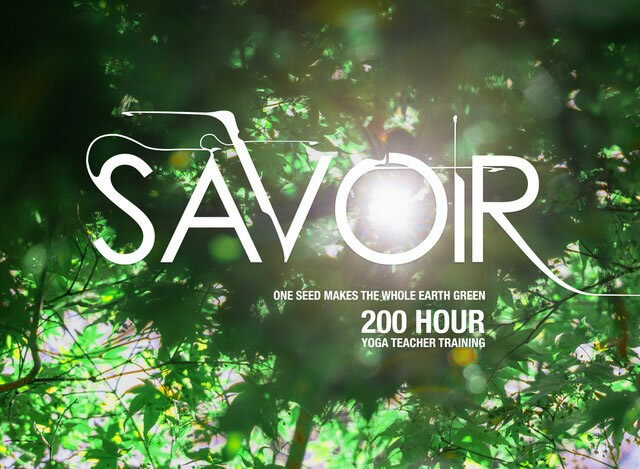 These inspired teachers of awareness focus on the foundations of conscious breath, movement in natural flow, and bring a legacy founded in student safety. Troy and Jolene dive inward to shape a teacher training around the universal principle that is the pointer for all great teachings: Be. Still. Know. Thy. Self. This is what you will teach your students. 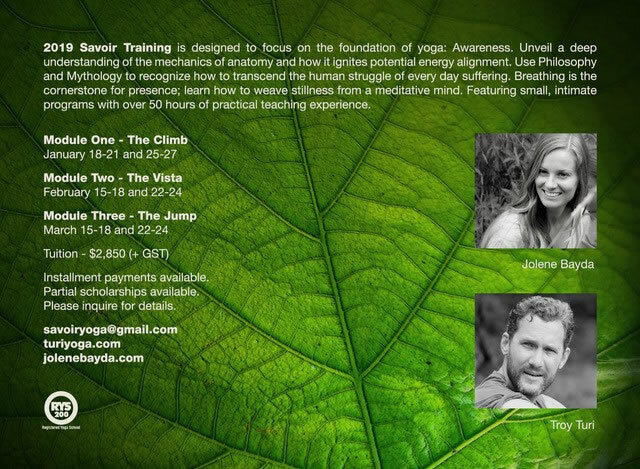 In this training you will discover how to find your unique Self to meet the Higher Self of each of your students. Through asana, through awareness, through philosophy and anatomy, into presence, there is only one true posture in Yoga, and that is BE-ING. In our evolution together, we will share the experience of how to find your authenticity on the mat, and in your Life—Finding how to bring this yoking to your own students of the world. Jolene and Troy will embrace all styles as tools, yet embolden you to find your distinct way along this yogic path into real Love and Life. Reducing yoga to its essential form, the marriage of Breath to Life, is our true teacher, and this is where Yoga is found. With individualized attention, Troy and Jolene will support each of you in bringing out your best, showing you it’s already present. 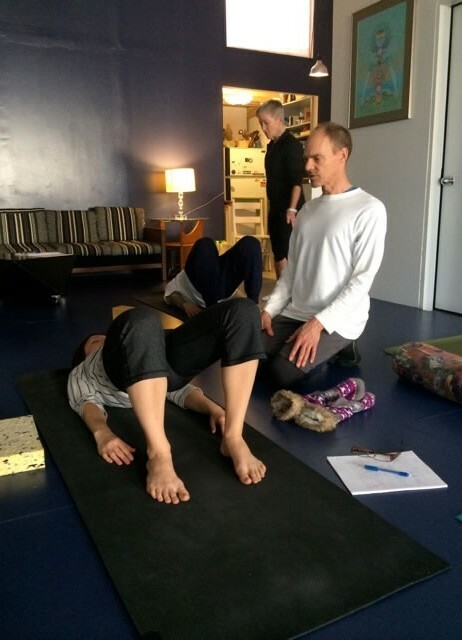 Rather than scattering your attention and fragmenting your energy with numerous teachers, Troy and Jolene will work with YOU—To reveal your greatest expression. You can teach anywhere in the world with supreme confidence. Teaching what they are good at, love itself. Jolene and Troy Love—not in theory, but in the actual moment. They watch for that which is in the way, holding space for students to recognize for themselves, what is blocking their light. Each student shows what needs to be made available in order to reach all, meeting the moment with what is needed in order to be loving. This is what makes them a wonderful duo. They Love well. They give everything they have—Watch the rippling effect take place. When the experience is over, you will stand on their shoulders in a collaboration of expertise & knowledge, and all they ask is that you let the ones that follow stand on yours. When this circle of training closes, you will be confident and capable of empowering those who follow—in joy and acceptance, with the ability to respond (responsibility) to any situation that unfolds. As you bring your teachings to the world, both you and the world continuously grow together, in Union. Welcome to the greatest experience of your life. Welcome to Yoga.